i'm going to attempt another challenge, but i'm not going to pressure myself with it. i've been struggling with the intense weather changes lately and know that health, or lack of health, plays a big role in what gets done or left unattended. 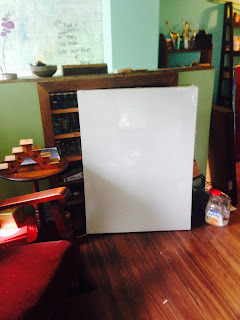 mark and i were lucky enough to find a ginormous canvas a couple of weeks ago. maybe last week. whatever. this thing is HUGE! i don't have any plans for it, so i was thinking i could give myself a challenge to work on it, even a little bit, each day for the month of september. even if it's a mark or two, just do something to it. 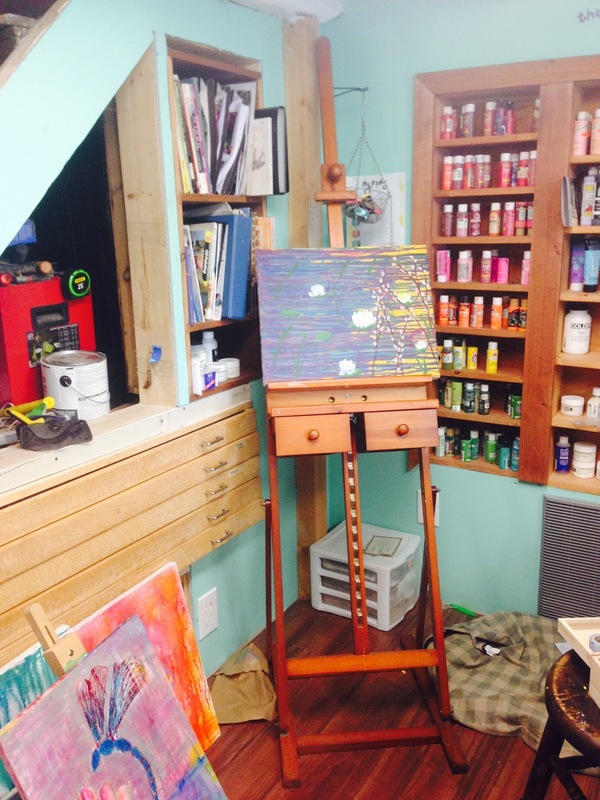 create layer upon layer to this monster canvas and see what happens. i've made myself a list of materials and techniques i don't want to forget about while creating. and i'm thinking about the colors i'd like to see together. this one is going to be about experimentation. it will change from day to day, so i know not to get too precious about the previous days work. i will be taking photos daily, but i won't be posting daily. probably not until the end of the month. and at the end of the month i will probably live with it until it tells me what the end result wants to become unless it comes to me beforehand. i now have two easels to work from, thanks to a special friend of mine who found a beautiful specimen and thought it would love to live with me! i'm glad for the timing, and am so grateful for her thoughtfulness. it's the perfect size and fits nicely in the corner by my paints. now i can have dueling canvasses! while i wait for september to come, i will be cleaning the studio to make room for this monster canvas to take shape. i know some of my work will be with it on the floor, spattering paint around, and, well, it's just nice to start fresh. 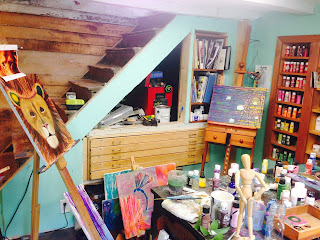 you can see i still have the lion painting in progress. i'm still thinking about how to create the candle light in his fur. i've been ill, but the brain has been actively working it out.